Adirondack offers volume priced HDTV's, as well as lightweight, structural, modular aluminum truss and mounting systems. Truss and mount systems meet or exceed safety ratings and municipality codes enforcement. The Seismic Mount grabs the truss as soon as it is snapped over the truss chords and secured. The mount will not lose its adjustment due to truss sway, wind, or other factors as will under-slung designs. The mount may be positioned anywhere along the usable length of truss barring obstructions such as vertical support connections, and allows for completely unobstructed use of the interior of the truss. Overhead rating for 200lbs. Rear view snapped to trussing. The Face Mount may be positioned anywhere along the usable length of truss, barring obstructions such as vertical support connections, and allows for completely unobstructed use of the interior of the truss. The mount will not lose its adjustment due to truss sway, wind, or other factors as will under-slung designs. Overhead rating for 200lbs. ADK truss is a lightweight, structural, modular aluminum truss system. Its durability makes it ideal for a variety of business types. Depending on your location and needs it can be either suspended from the ceiling or bolted to the floor. ADK’s truss system is overhead rated and approved for seismic areas. Adirondack Direct offers a wide variety of brand name High Definition TV's at volume pricing, to ensure your facility's visual needs are met at the best pricing possible. 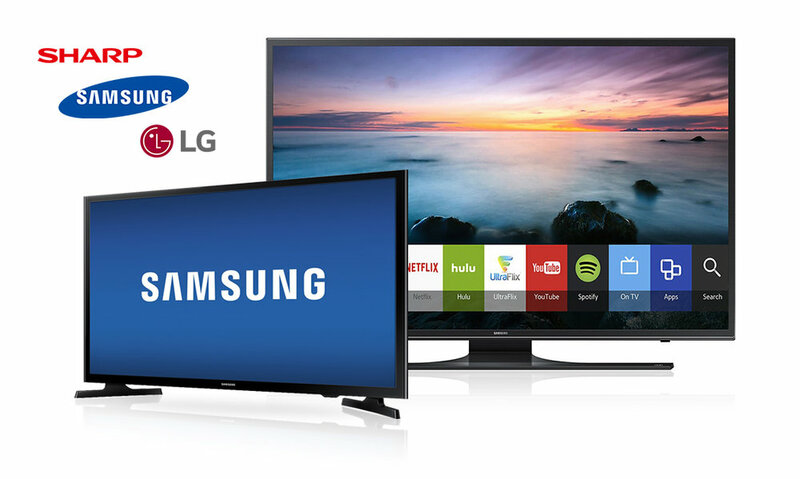 Brands such as Samsung, LG, and Sharp are available, with numerous model options to choose from. Some of the most popular models feature sizes from 32" to 75," with display resolutions of 1080p and 4K capabilities. All HDTV's purchased from Adirondack are guaranteed to work with your businesses AV system, digital transmitters, and receivers. Why Choose ADK Direct for TVs?